Goodreads: A mom, a dad, a baby...and another dad. Laurie and Alan are expecting, again. After two miscarriages, Laurie was afraid they'd never be able to have a child. Now she's cautiously optimistic -- the fertility treatment worked, and things seem to be different this time around. But she doesn't yet know how different. Jack can't seem to catch a break -- his parents are on his case about graduating from college, he's somehow dating two girls at once, and he has to find a way to pay back the money he borrowed from his fraternity's party fund. The only jobs he is qualified for barely pay enough to keep him in beer money, but an ad for the local sperm bank gives Jack an idea. Laurie and Alan's joy is shattered when their doctor reveals that Laurie was accidentally impregnated by sperm from a donor rather than her husband. Who is Donor 296. And how will their family change now that Donor 296 is inarguably part of it? Kritters Thoughts: A couple decides that they are ready to bring a child into the mix and after two failed miscarriages Laurie talks her husband Allan into some IVF. Unfortunately, this IVF goes very wrong and they have to live with the consequences. Told through three different perspectives - Laurie, her husband Allan and Jack their donor, I was so glad that Jack and Allan contributed to the story. 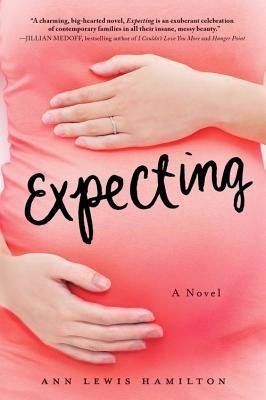 It made the story feel more full getting the men's perspectives and finding out how they were reacting with how this pregnancy was evolving. All three characters felt very real and the situations that they were put in also felt so honest. There are many people I would pass this book along, but most have had babies in the past year and I hesitate giving such a sensitive book to them. If you are a fan of family drama with fantastic elements of comedy embedded then this book would be right up your alley.